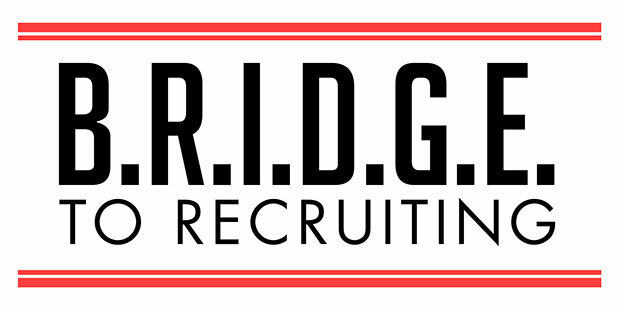 PrepVolleyball.com is thrilled to introduce its B.R.I.D.G.E.™ to Recruiting, a manual intended to help volleyball hopefuls and their parents navigate the vast and often confusing recruiting scene. The word BRIDGE, as you can surmise, is an acronym, and stands for “Bible, Reference, Instructional Directory, Guide and Enchiridion,” all words that essentially describe a text designed to offer assistance. 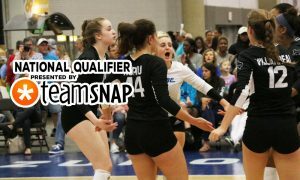 The term BRIDGE itself is illustrative of the transitional crossing-over required to go from the world of junior volleyball to the life of a collegiate athlete. We hope our B.R.I.D.G.E.™ will aid your journey. 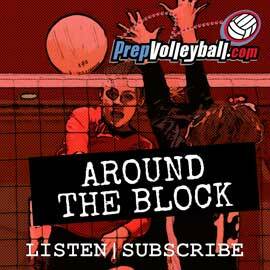 Why am I, John Tawa, writing a recruiting guide for volleyball when I have proclaimed, loudly, since PrepVolleyball.com’s inception in 2003, that recruiting is the least interesting part of my job? 3) My new employers at Advanced Sports Media Group have encouraged me to share the personal and professional experience in recruiting that I have gained over the past decade. In this intro, I want you to get to know Timothy Tawa, who is a junior at West Linn HS in Oregon, a member of the Class of 2017 and the reason for my first-hand experience. At age 7, Tim was a better baseball player than I could ever have dreamed of being and his footspeed in our town was legendary. I can’t tell you how many strained hammies and quads his old man suffered trying to keep up (You really do have to stretch your muscles before using them as you get older!). Having the “Who’s that! ?” kid was a wonderful ego stroke for a guy who played DIII hoops ever so briefly and whose greatest sports claim to fame was winning the University of Virginia Law School Softball Invitational. Let’s face it: you’re reading this BRIDGE because, at some point, the same thought entered your mind about your daughter and volleyball. 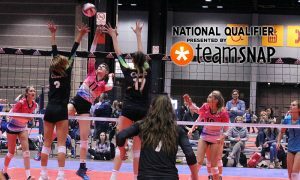 Is she good enough, not just to make the YVBA team and pound ultra-lights at the curly-haired pre-teens on the other side of the net; not just to start and perhaps star on her high school team…is she good enough to play college volleyball AND earn an athletic scholarship to do so? I mean, that’s the dream, right? Because I worked in the sports world, where every dad thinks his daughter is scholarship good, I had more perspective than most. I thought Tim was fantastic, but knew I was in no position to judge. So I sought advice from people who knew and, much to my delight, they affirmed what I hoped would be true: Tim was a high-level prospect in both baseball and football, not just for high school but also for college and beyond. When Tim was 14, he was offered a baseball scholarship to a Pac-12 university. We really didn’t do much to solicit the interest, but his travel ball coaches were VERY well connected (which helps) and the offer came before he’d ever tried out for his high school team. Tim did not accept that offer. He was too young, in my mind, and couldn’t know what he truly wanted. Besides, what mattered at the time wasn’t committing to a school; it was knowing he was good enough to be wanted at that level. I thought the recruiting process would last well into Tim’s high school years, but Tim ended up committing six months later, in November of his sophomore year, to the school he’d dreamed of attending since he was 13. Again, it was nothing we pushed. I’ve never seen a kid so happy – he said it was the greatest thing to ever happen to him. We ALL want that for our children. We want them to be happy, we want to have our financial burden of paying for college eased in whole or in part, and, yes, we want to wear that hat or sweatshirt that tells everybody that our kid did good, that we, as parents, did good (Improper use of the word “good” intentional). Now, I have NO IDEA whether your daughter is good enough. 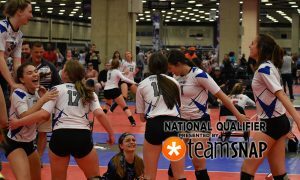 And by “good enough” I don’t just mean good enough to earn a Division I volleyball scholarship, I mean good enough to play college volleyball at any level. What I do know is that the recruiting scene is complicated and confusing. 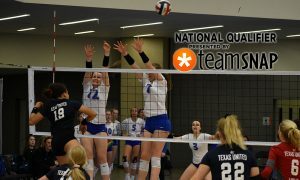 This BRIDGE is intended to help you navigate the waters of the volleyball world in the hopes that one day, after your daughter finds the perfect fit for her, she’ll tell you that her dreams have come true.